At the very outset, we would like to thank you for sparing some of your valuable time from your busy schedule and having agreed to meet the delegation as undersigned. We have met the Hon’ble Governor of West Bengal on 16.05.2011 and on 12.08.2011 to apprise him of the reign of terror unleashed by All India Trinamul Congress (AITC) following the declaration of the last Assembly Election results in West Bengal. In this connection, a delegation from the Left Front Legislature party in West Bengal also met the Hon’ble Chief Minister on 03.06.2011. Since then, the Leader of the Opposition has written six letters to the Chief Minister which proved abortive as there has been escalation of terror and violent attacks in the State. We are fully aware that the Law & Order as presently prevailing in the State is primarily under the jurisdiction of the State Government. However, in the background of recent developments of the Left Wing Extremists’ (LWEs) affected areas in the southern part of the State and in the Hills, Dooars, Terrai and adjoining areas in North Bengal, the present state of unrest distrust exist among the different linguistic people are jeopardising the spirit and unity, integrity and harmony in these sensitive area. We firmly believe that the Union Government can not afford to be a silent spectator in a situation like this. The Left Front Government, when it was in office, fully agreed with your assessment of the Left Wing Extremism (LWE) as the greatest danger to the internal security of the country. There had been remarkable success in confronting this menace by the co-ordinated actions of the Central and State Governments by successful use of the joint forces. Unfortunately, the new Government in the State has completely reversed this stand, thereby giving the LWEs a freehand to regroup and expand their area of operation much beyond what had existed ever before. The State Administration, while keeping the joint forces idle, has concentrated its offensive against the leaders and workers of CPI(M) in particular and those of the Left Front parties in general, who had been at the fore-front of the political, ideological and developmental process, in a word, multiform battle against the self-styled “Maoist”. Even the present ruling parties of the State are unable to carry out their political activities in those areas. Even the adjoining States have complained against the inaction of the West Bengal Government in this regard. The way the tripartite agreement has been signed on the problems of the Hills keeping the opposition and, we believe, the PCC in West Bengal, in dark, will further complicate the situation there. Keeping on record the demand of Gorkha Jana Mukti Morcha (GJMM) for a separate State of ‘Gorkhaland’ and opening a Pandora’s Box by providing a High Power Committee to explore the possibilities for inclusion of new areas, from Dooars, Terrai and Plains in the proposed Gorkhaland Territorial Administration (GTA). These are clear departures from the understanding arrived at the tripartite meetings held when the Left Front Government was in the office. We believe, you will agree, that this will lead to discontent, particularly among the tribal and other people of the Dooars, Terrai and Plains and resultantly will destabilize the situation in these sensitive areas. In view of the situation which has developed there may be threat to the security of the country. In the situation stated above we are compelled to seek redressal of our grievances from your honour. A complied report of Post-poll violence unleashed on the Left in this State as on 15.08.2011 is annexed herewith for your kind perusal and necessary intervention. 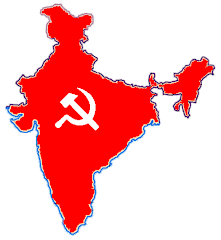 As summary of this report reveals that 30 Left Front leaders and workers [CPI(M) : 28, RSP : 2] have been killed and 7 more were abetted to commit suicide during this period; 684 women were assaulted physically, 508 molested and 23 raped; 3785 persons had to be hospitalized for the treatment of injuries suffered by them and many more were forced not to lodge complaint and seek hospital treatment. There had been 2064 number of arson and looting of houses and 14081 persons were evicted from their place of living. Around 40,000 in total had to leave their home under threat. To buy peace and stay in their home, people have been forced to pay money to the local AITC leaders and workers. According to a conservative estimate, total extortion amount thus paid might exceed Rs. 277.7 million. 758 Party, Trade Union and other Mass Organisation offices were either attacked, ransacked, burnt, forced to close or captured. 77 Student Union offices have been captured. Their office-bearers have been driven out, some of them forced to resign and even others denied to appear for their Exams. There has been a widespread attack on the rights of the peasantry where by 3418 Ryots were denied the right to cultivate their own lands amounting 9222.73 acres. Besides 26838 number of Patta holders and Share croppers have been forcibly evicted from 9222.02 acres of Patta and Barga lands. While Maoist and KLO militants are promised to be released as political prisoners, thousands of Left Front activists have been implicated in false cases on fabricated grounds including those instituted on the plea of so-called recovery of arms. Even the Left Party organs have not been spared. 241 Boards displaying Ganashakti daily in public have been dismantled and thousands of its copies have been burnt and the hawkers have been beaten up in order to disrupt its circulation chain. All democratic institutions, the Panchayats, Municipalities, Co-operatives, different elected bodies of educational institutions have been made defunct either by attacks, intimidations or Government fiats. Even in certain areas teachers, non-teaching staffs and students are not allowed to enter their institutions. The State is in unrest. The districts affected by the terror unleashed by AITC, the Jangalmahal now made a sanctuary for the ‘Maoists’, the mounting tension in the Hills, Terrai, Dooars and the adjoining plain in the North are glaring examples. Basic democratic rights of all sections of the people of the state are under threat. Even the INC, the partner of the ruling coalition, is not spared from these attacks. Even armed conflicts between the different factions of AITC are taking place. Anarchy has come to prevail over the rule of law. People of the state can not be expected to remain a silent spectator in this situation for long. We sincerely request you to take immediate remedial measures to restore peace and normalcy in the State.